It is said no one goes empty-handed after making a wish to the Lalbaugcha Raja. That explains the different kinds of requests made to Mumbai’s favourite deity by devotees this year. From a student asking for a good score in the GRE so that he gets admission in a college in the US to a son asking for his father to be transferred to Vadodara, Gujarat, with a salary hike. And from a mother requesting the Raja to take care of her children who want a career in the film industry to a grandson wanting death for his ailing grandmother, the requests written on paper and kept in the donation box reflect the emotional and demanding nature of people. Some comments are about expressing gratitude, like a woman thanking the Raja for her successful love marriage and acceptance from her in-laws. However, she now wants the Raja to bless her with a child. Earlier, the Lalbaugcha Raja mandal used to open the donation box after the immersion. “However, for the past two years, we open it during the festival. By the fourth day this year, we got Rs3 crore in cash. Some devotees have also donated gold ornaments and other jewellery. The gold will be counted only after the festival gets over,” said Raju Lanjwal, treasurer, of the Lalbaugcha Raja Sarvajanik Ganeshotsav Mandal . Apart from cash, at least 100 letters written by devotees were found in the box. “There are different kinds of request letters written in various languages such as English, Marathi, Hindi and Gujarati. Some are very heartening. Through this medium, people have opened their hearts, mentioned their family problems and expressed a desire for something. Devotees wish to keep their demands a secret and hence, they write their requests on a piece of paper and keep it in the donation box,” Lanjwal told DNA. One boy wants his father to be cured of paralysis. He wrote in his letter to the Raja that he will fast every Tuesday for a year if his wish is fulfilled. Not only that, he says he will seek the blessings of Lalbaugcha Raja along with his father next year. Another devotee wants the Raja to control his mother’s temper and demands a permanent job for his father. One child wants a good salary hike for his father so that he can buy him a bicycle. Apart from this, he also wants good marks in his exams. 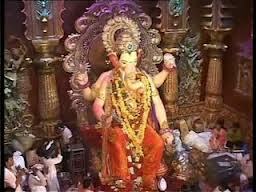 Lakhs of devotees visit the Lalbaugcha Raja every year. The numbers have been growing every year. People stand in queues for hours just for a darshan of the Raja.